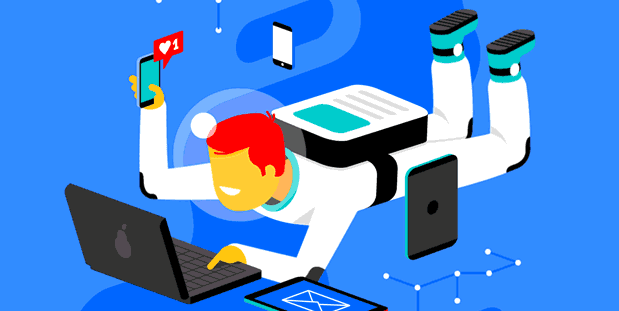 All machine learning toolkits provide these model evaluation metrics. "What percentage of my predictions are correct?" Good for single label, binary classifcation. Not good for imbalanced datasets. If, in the dataset, 99% of samples are TRUE and you blindly predict TRUE for everything, you'll have 0.99 accuracy, but you haven't actually learned anything. "Of the points that I predicted TRUE, how many are actually TRUE?" "Of all the points that are actually TRUE, how many did I correctly predict?" "Can you give me a single metric that balances precision and recall?" "Is my model better than just random guessing?" 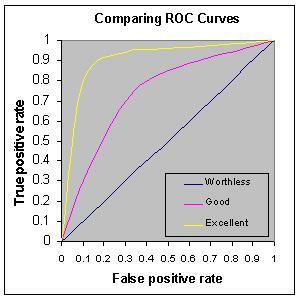 The ROC curve is obtained plotting your model's true-positive and false-positive rates at different points. If your model scores less than 0.5 AUC, it's no better than just random guessing. 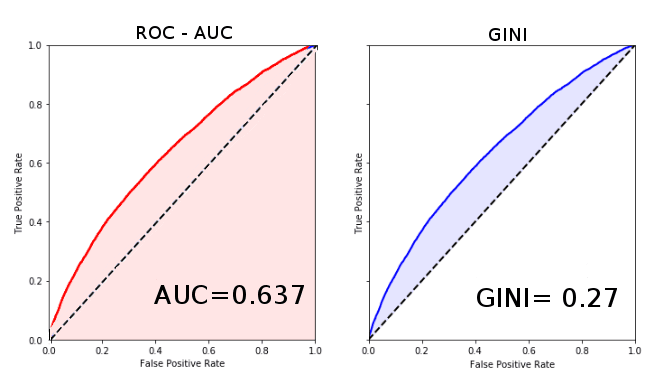 Good for cases when you need to estimate how well your model is at discriminating TRUE from FALSE values. In other words, for every pair of instances A and B, when your model says A is more likely than B, how often is A is actually TRUE and B FALSE? The Gini coefficient is comparable to the AUC score inasmuch as it also is a rank-based metric that can be used to measure how well your model is at discriminating TRUE from FALSE values. It ranges from 0 (chance results) to 1.0, which corresponds to perfect discrimination. A comparison between AUC Score and Gini Index on the same scoring results. the AUC corresponds to the full area under the ROC curve. This short post is part of the data newsletter. Click here to sign up.